An attitude of gratitude makes for a happy heart, but it also has proven physical benefits. Our blood pressure drops, levels of the stress hormone cortisol decrease, our immune system improves, we have less aches and pains, our sleep is more efficient, and our heart health improves by reducing the inflammation and helping our heart rhythm. Our behaviors are often impacted by a grateful heart too! We tend to manage our emotions more efficiently, our stress eating lessens, and our physical activity often increases. Grateful people appreciate their health/bodies and therefore care for them well via regular exercise, stress management and nutrition! 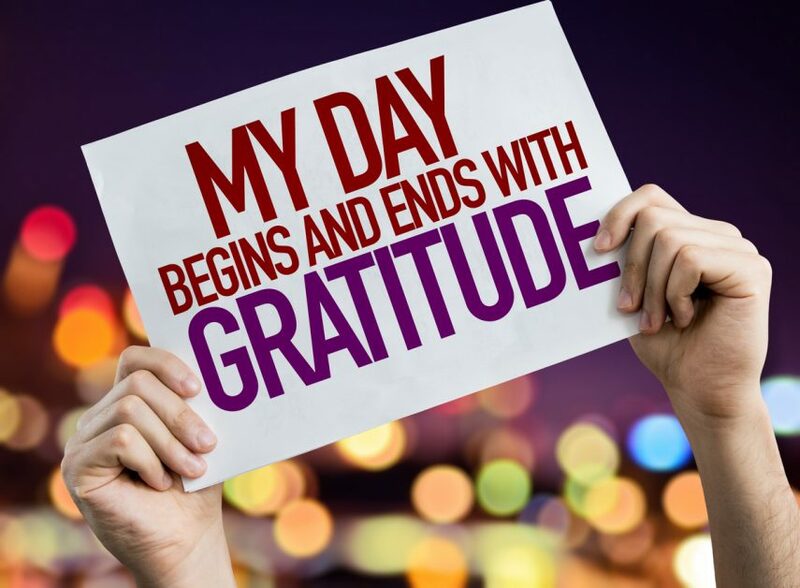 Remaining in a state of constant gratitude is a discipline that helps redirect the mind off the negative and onto the positive! A thankful heart is too busy counting blessings (the GOOD) rather than all the fears, worries, ‘what-ifs’, etc. Enhances existing relationships and builds new relationships. During the next four weeks we will have several areas of focus. Contact us to receive the weekly prompts and emails.